Home » Blog » Acequia Elected Officials: Who can serve in acequia leadership? Acequia Elected Officials: Who can serve in acequia leadership? New Mexico law requires that an elected official of an acequia – commissioners or mayordomo – be an owner of “an interest in the ditch or the water therein”. An “interest” in this case is a term of art and refers to a legal interest, or some form of property interest, in the water or the acequia. The clearest example of having a legal interest is being the owner of land with water rights served by the acequia. If your name is on a deed as the grantee and there is no reservation of water rights to the grantor, or if the deed is silent on the issue of ownership of water rights, most likely you are the owner of the land and the water rights appurtenant (belonging) to the land described in the deed. As the owner of the land with water rights served by the acequia, you have a legal interest in the “ditch or the water therein” and have the right to hold office on that particular acequia. Most acequias define membership in their respective bylaws in this exact way: members are those landowners with water rights served by the acequia, and may therefore vote and hold office. There are a few conclusions we can draw from this analysis. 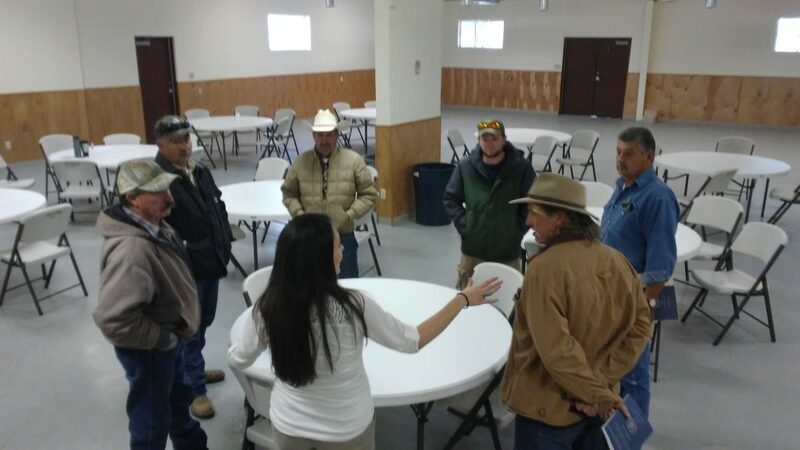 First, landowners that do not have water rights served by an acequia, but whose property the acequia traverses, are welcome to attend meetings of that acequia but do not have the right to vote or hold office. Likewise, family members of landowners with water rights who themselves do not own land with water rights served by that acequia may not hold office on that acequia, and may only vote on behalf of a landowner through a valid proxy vote. One cannot hold office via proxy. We know, however, that it is not always easy to determine whether an individual is member of the ditch or not. Not everyone can readily prove up a deed showing that he or she is the current owner of the land and along with the land the water rights appurtenant to it. And we know that in some cases land is held jointly, or provisionally, in an estate; or after the death of landowner land may have to be probated; or – and hopefully this is rare – a deed has not been recorded with the county clerk. In each of these situations, the burden should be on the individual who wants to vote or hold office to prove up his or her “interest” in the acequia. Most acequia bylaws require members to provide updated information to the acequia for this very reason. Considering the difficulty acequias face in recruiting new officers, the last thing anyone wants is for someone who is sincerely interested in acequia governance to be denied the ability to hold office because there is no record of ownership in the acequia’s official records of that person being an owner of an interest in the acequia. Therefore, locate your deeds or other legal paperwork and provide copies to the acequia – and to the State Engineer to be really thorough – to avoid any confusion on election day, or any other day when you want your vote to count.